Renault is targeting the Indian market for now. At the global unveil of Renault's all new Kwid, Carlos Ghosn, Chairman of Renault-Nissan, told IndianAutosBlog that the car will not be rebadged as a Dacia. "There will not be a Dacia badge on the Kwid...there will only be a Renault badge" Ghosn said when asked of the possibility of rebadging the product to serve in a segment below the Dacia Sandero. 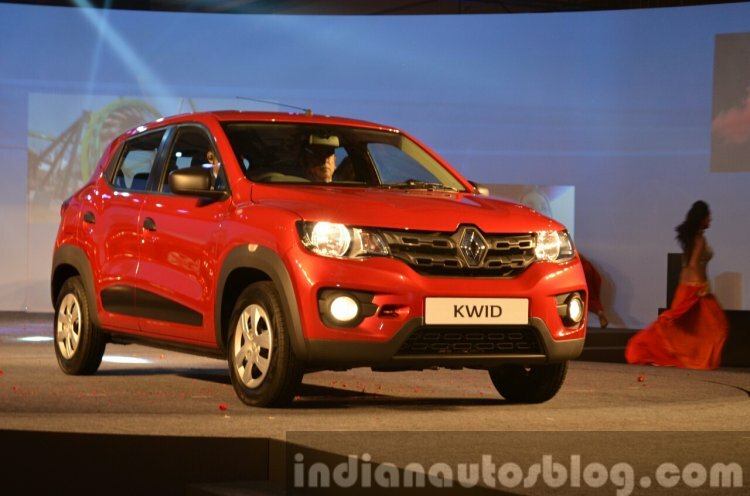 The Renault Kwid is the company's entry level product that is based on Renault-Nissan Alliance's CMF-A platform. He said Renault will first focus on the Indian market for the Kwid, before exporting it to developing markets or introducing it to the world market. Gerard Detourbet, the "father of the Kwid," in Ghosn' opinion, said that the CMF-A platform is a global one, and it was designed for worldwide safety regulations. For instance, the India-spec Kwid does not offer ABS, but he said this, and other features like ESP, could be installed, if necessary, and strengthened for meeting European demands and legislation. The exclusion of a Dacia Kwid was surprising, given that the Romanian brand solely caters to the volume segment, offering products that are budget-friendly. Currently, the Renault vehicles that are rebadged and sold as Dacia in EU, Asia and Africa are the Dacia Duster, Dacia Lodgy, Dacia Sandero, and Dacia Logan. The first Renault model to be badged as a Dacia was the Kangoo, that went on sale as the Dacia Dokker in 2012. The Renault Kwid is the company's answer to the highly competitive budget hatchback segment that includes the Hyundai Eon and Maruti Alto K10, the two cars that Renault officials did not shy away from mentioning when asked about the Kwid's competitors and specificational competency. The key selling points of the Renault Kwid are its bold SUV-esque styling, level of equipment, and pricing. Speaking of pricing, Renault has confirmed that the Kwid will be priced between INR 3-4 Lakhs, which doesn't look bad on paper, given that it comes with a MediaNAV 7-inch touchscreen, digital instrument cluster, and bold styling. Its launch is confirmed in the September - November period.